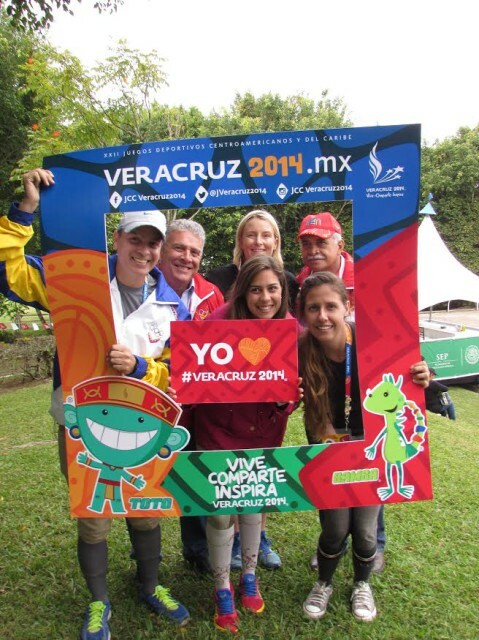 Francisco Mendoza, General Ruben Rojas, Sara Kozumplik-Murphy, Gabriela Suarez, and Natascha Barrientos. 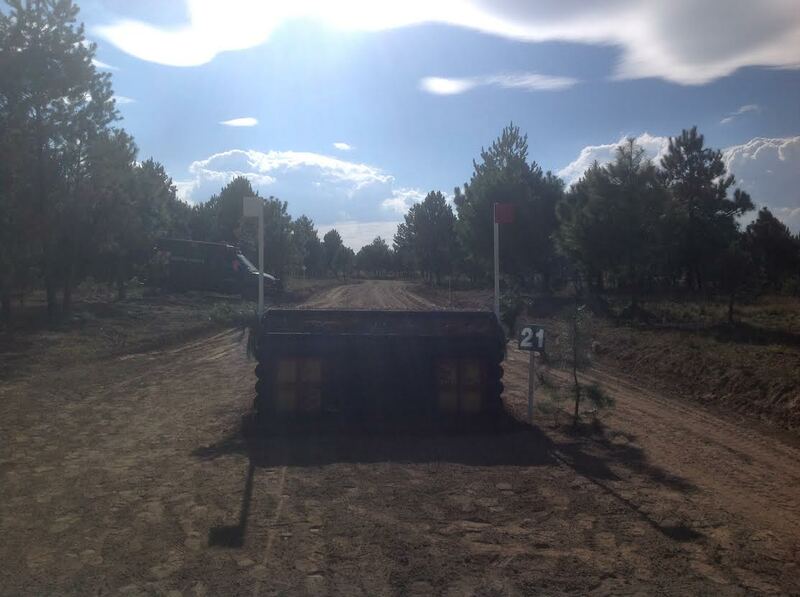 Photo from Sara Kozumplik-Murphy. 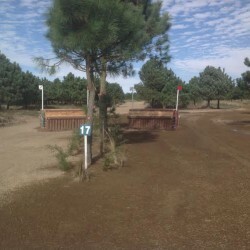 The eventing segment of the Central American Games has gotten underway, with the 26 riders presenting their horses to the ground jury yesterday and riding their dressage tests today. Sara Kozumplik-Murphy is coaching the Venezuelan team this weekend, and the stakes are very high for the team as a medal will ensure a slot to compete in the Pan American Games in Toronto next year. 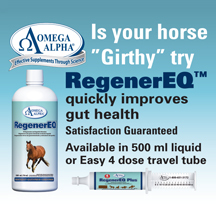 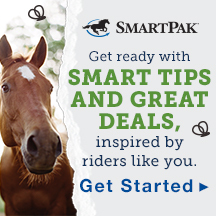 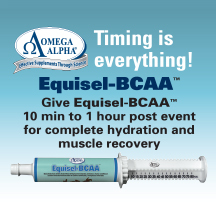 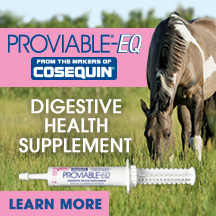 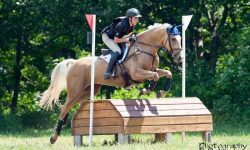 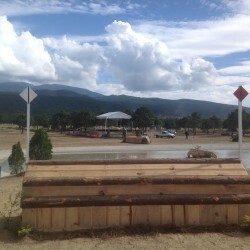 “I have been involved with Venezuela Eventing for a little over a year,” Sara said. 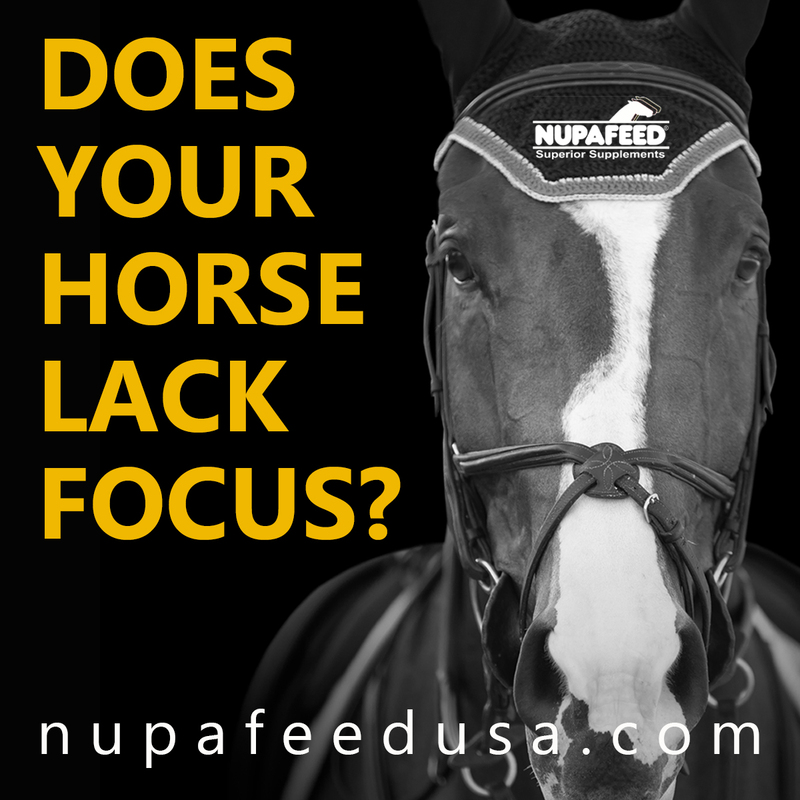 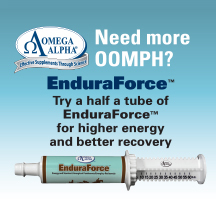 “I was working without a roadmap for the first few months. 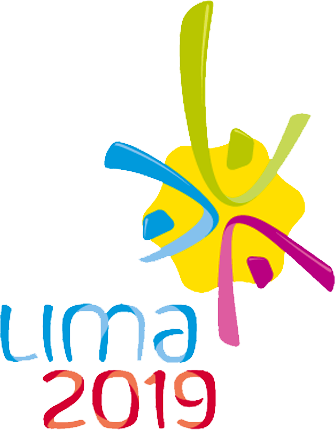 The Bolivarian Games in Lima were definitely trial by fire! 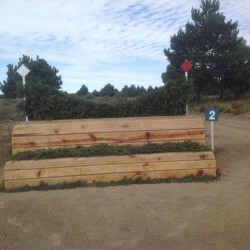 I was quite naive, and had no idea that there were going to be so many obstacles to overcome in order to produce a team that would work together. 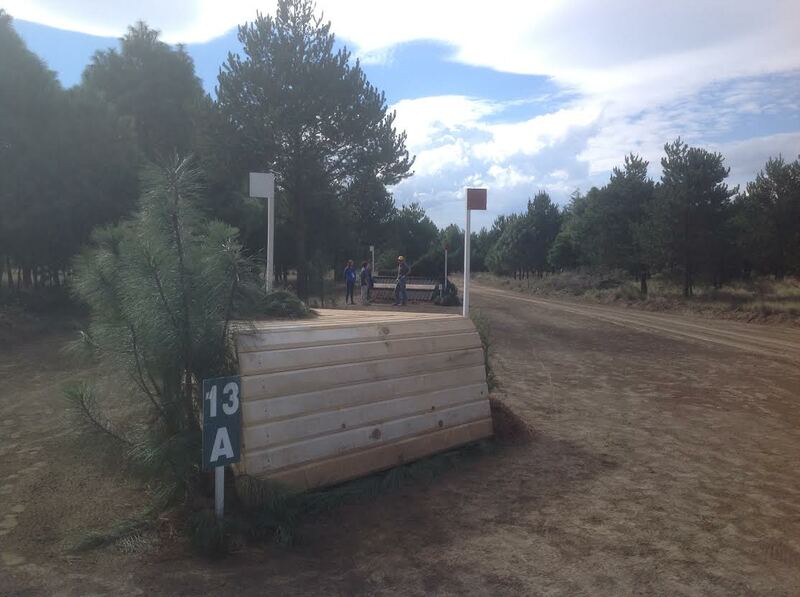 Team Venezuela turned out for the first horse inspection. 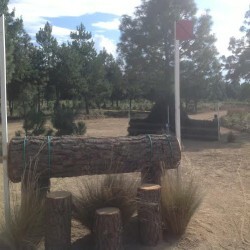 Photo by Hector Garrido. 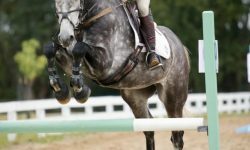 “Nothing ensures defeat so completely as a bad feeling within a group that should be supporting each other. 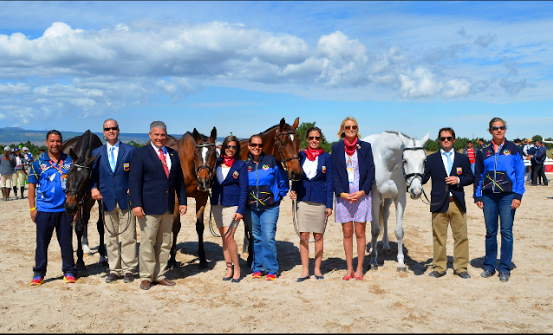 Having said that, I am extremely lucky that General Ruben M. Rojas, who runs the Venezuelan Equestrian Federation, read all of my emails after the trip and not only listened to my ideas for our team but stood behind them 100 percent. 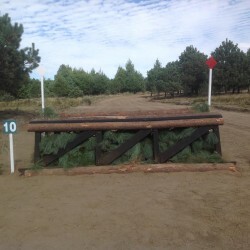 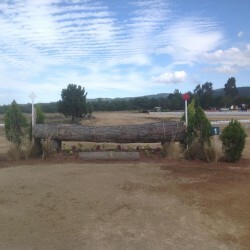 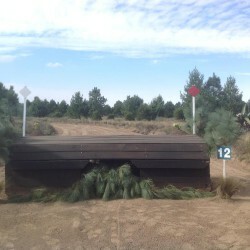 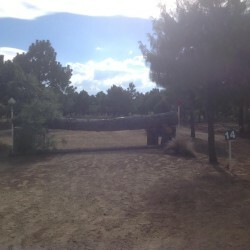 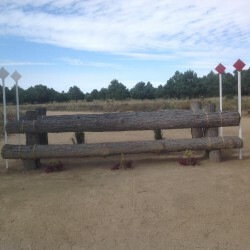 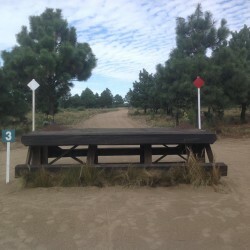 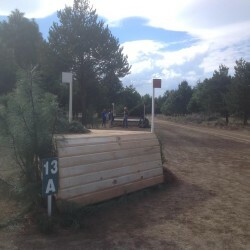 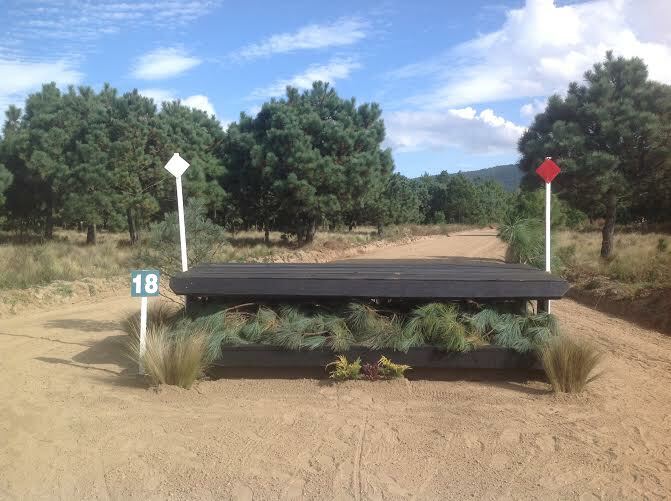 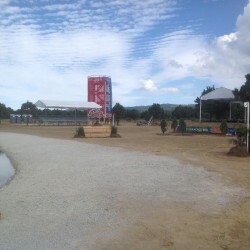 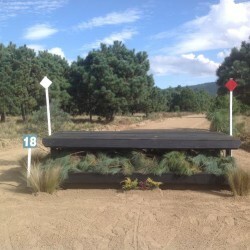 John Williams is the cross country course designer, and Sara was kind enough to send in photos from her team’s course walk, which you can view in the gallery below. 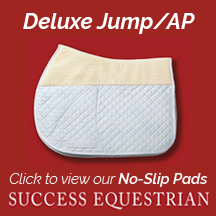 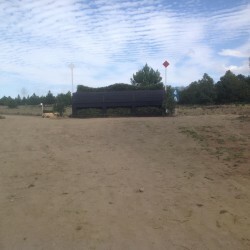 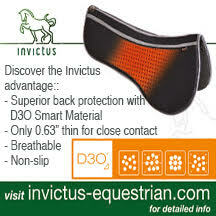 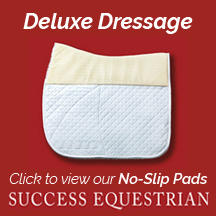 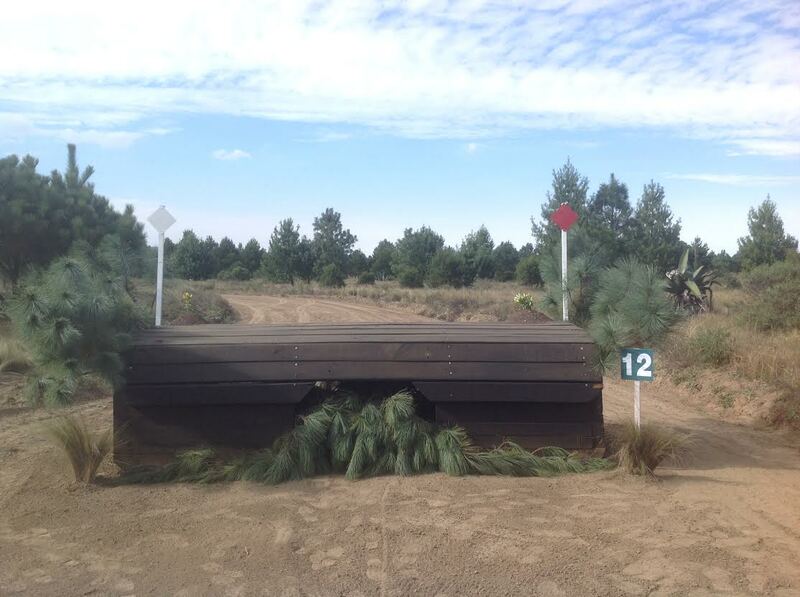 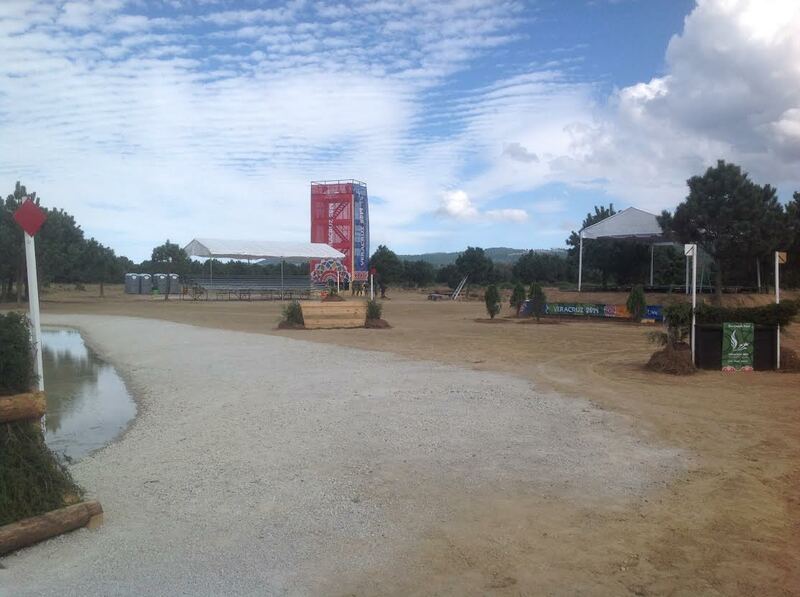 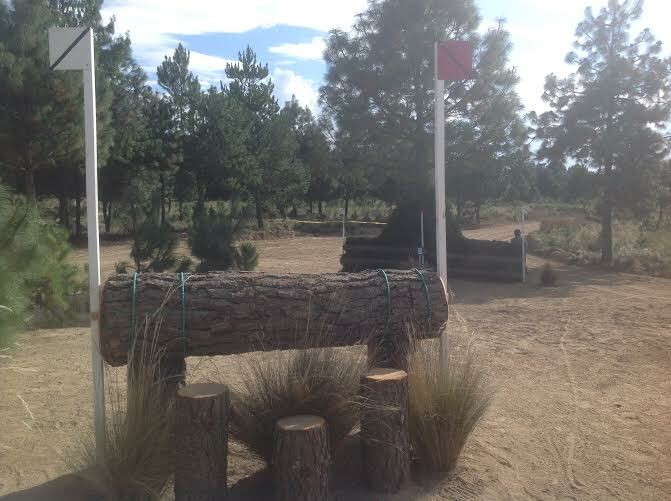 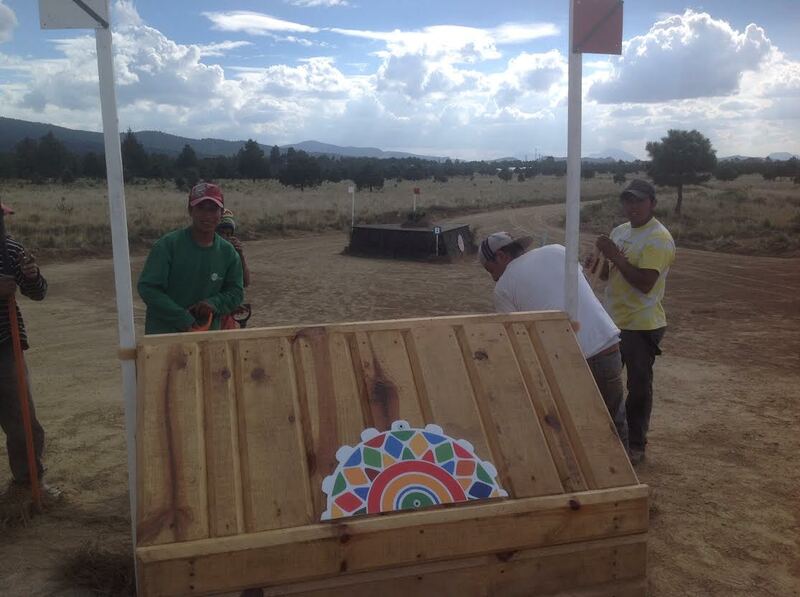 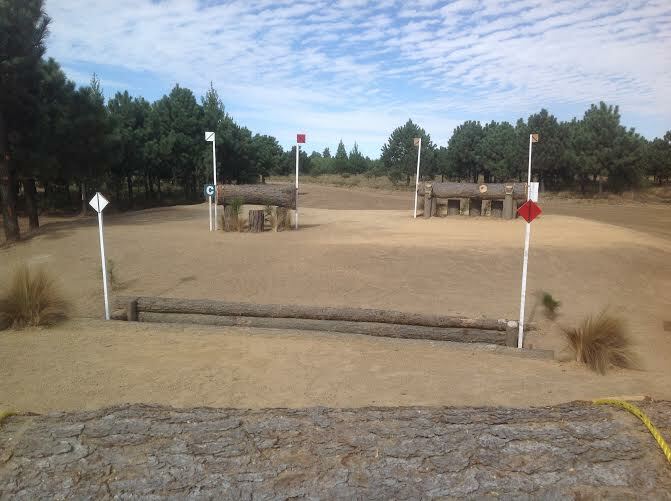 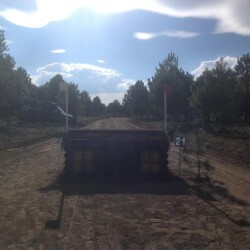 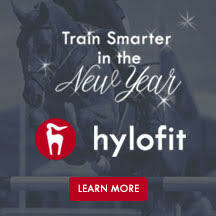 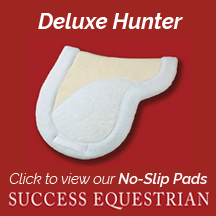 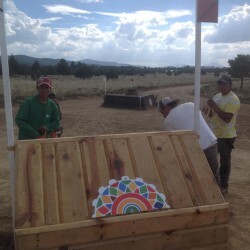 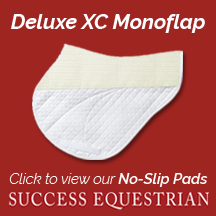 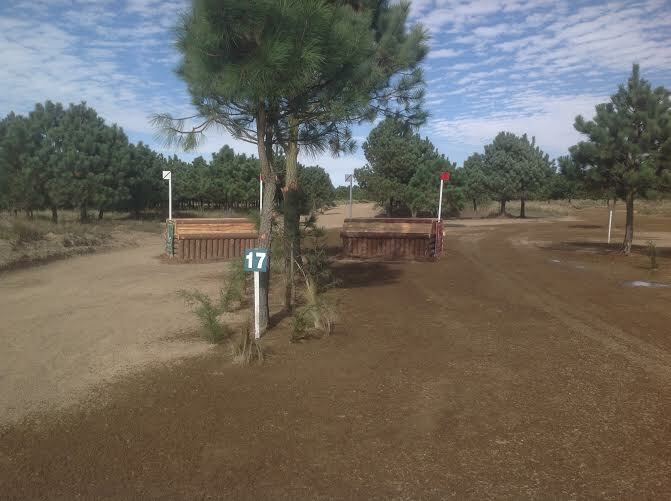 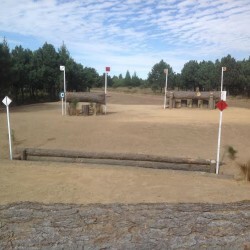 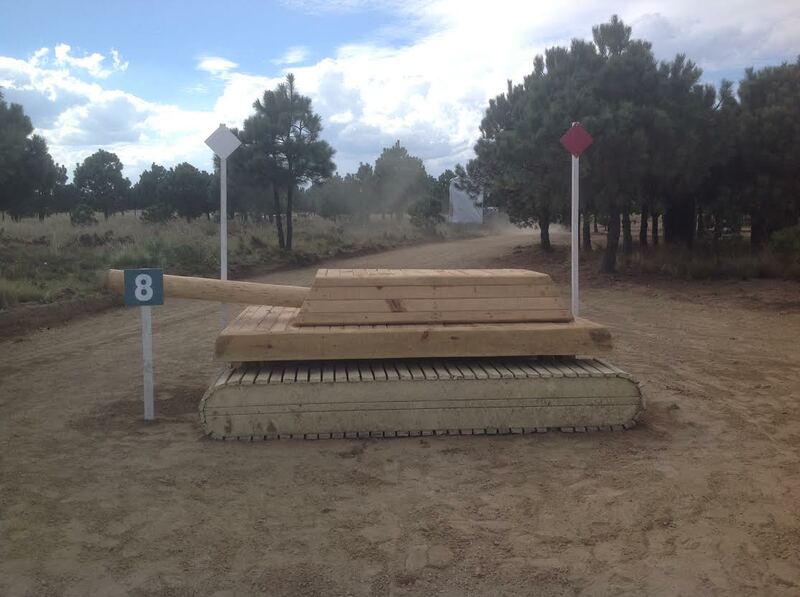 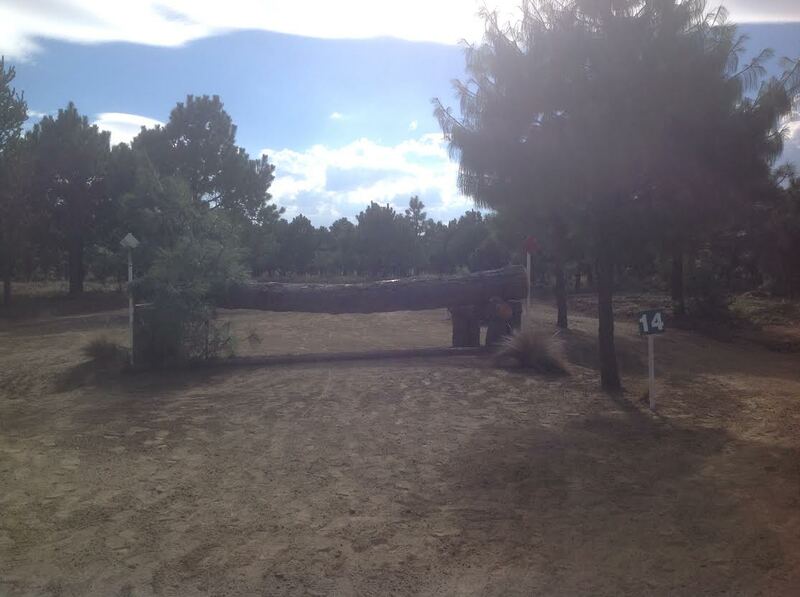 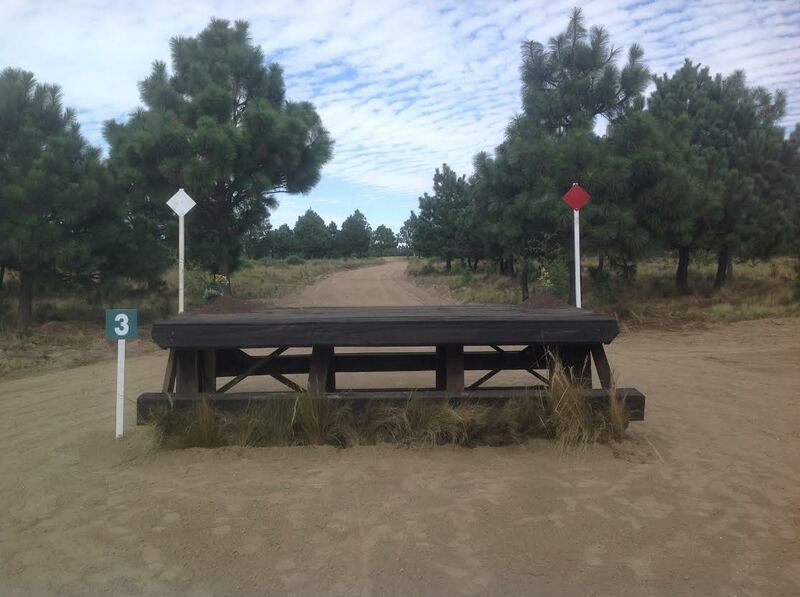 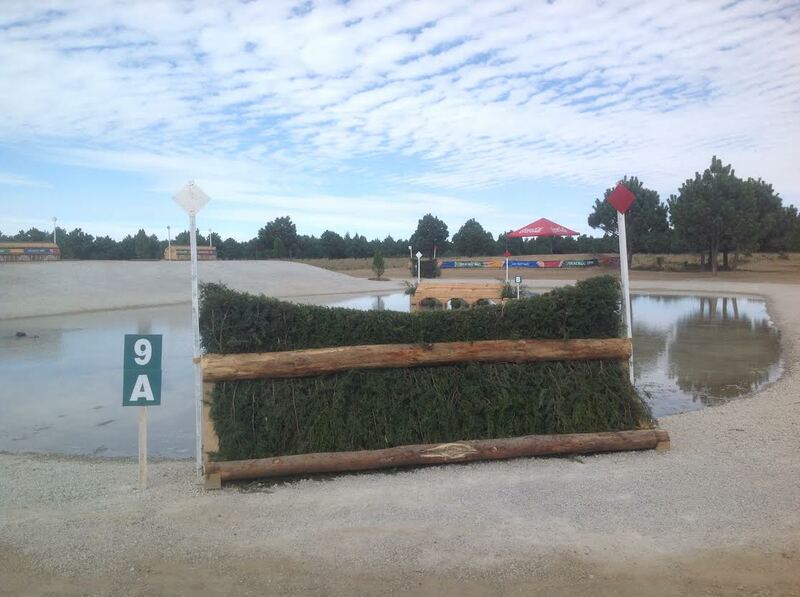 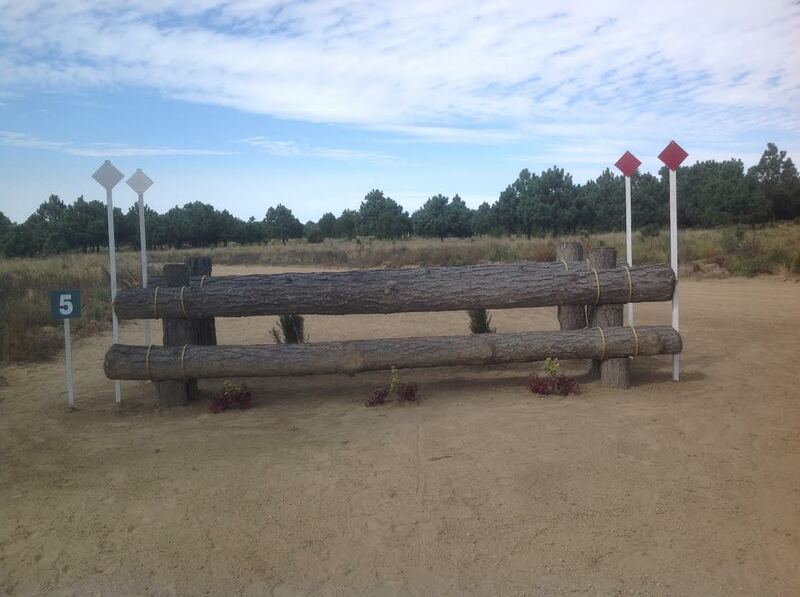 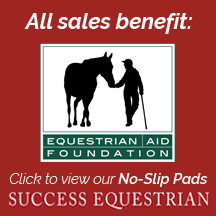 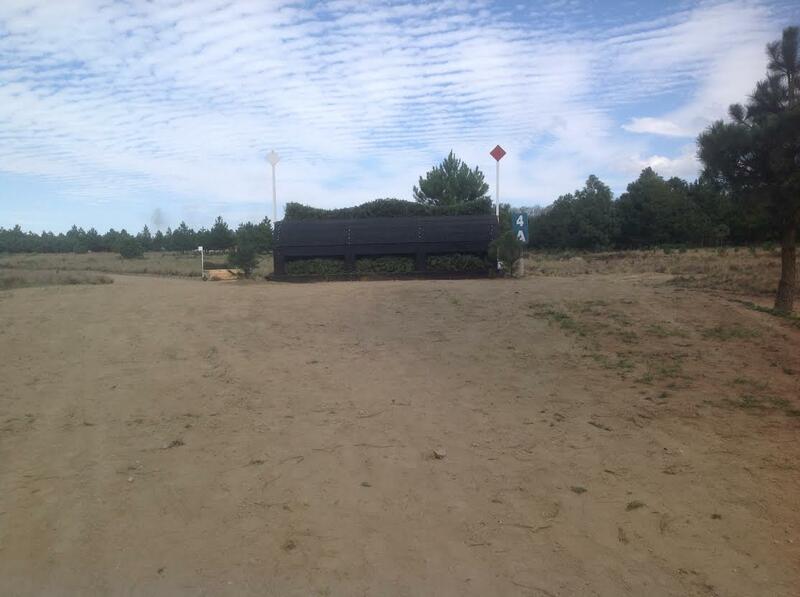 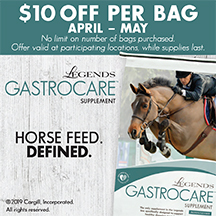 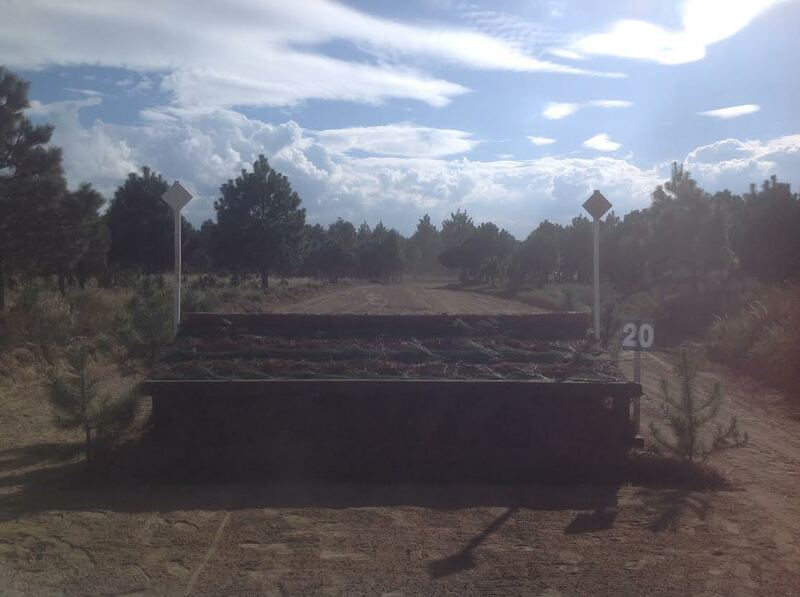 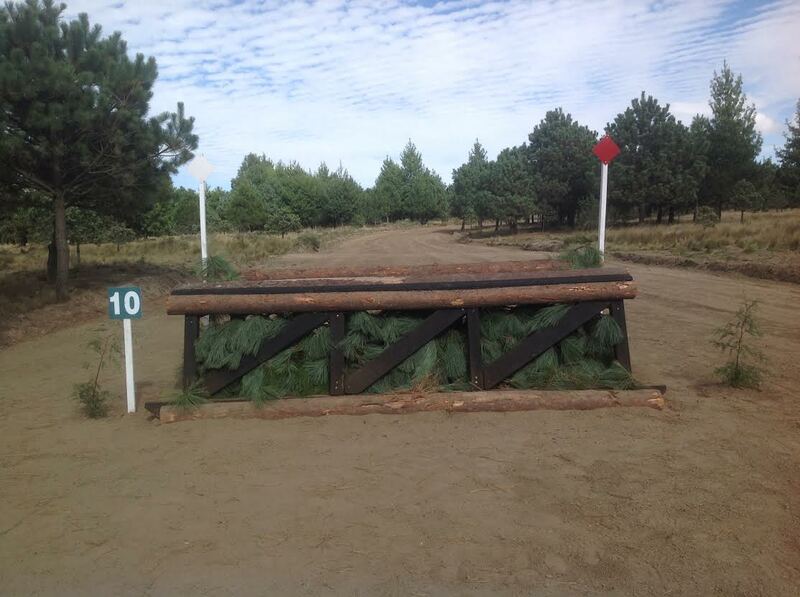 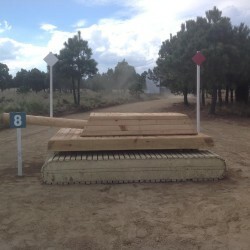 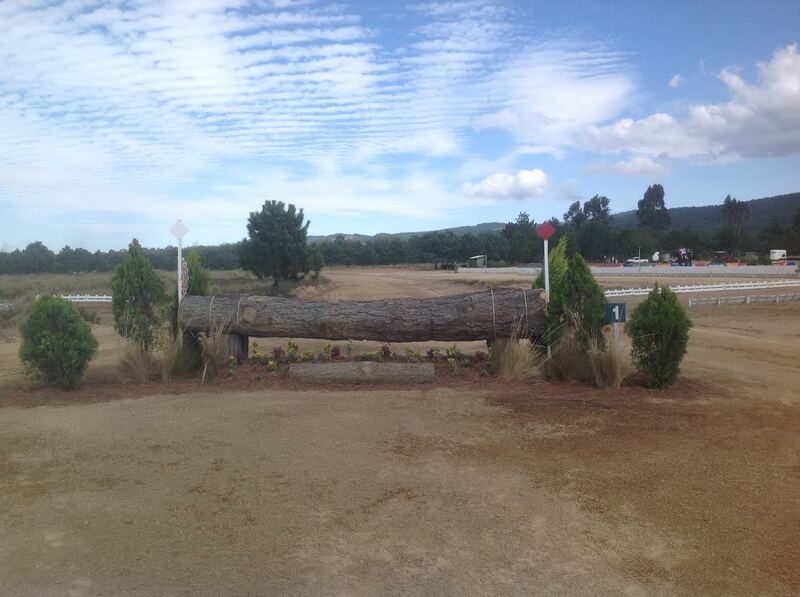 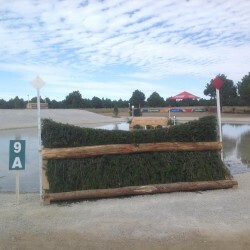 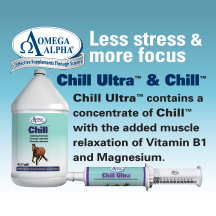 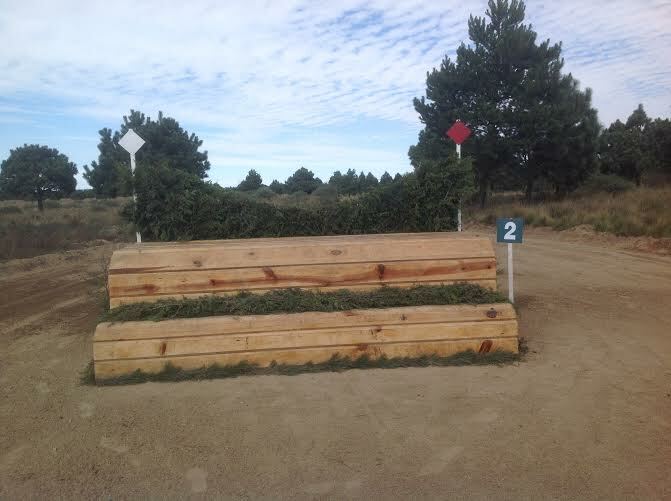 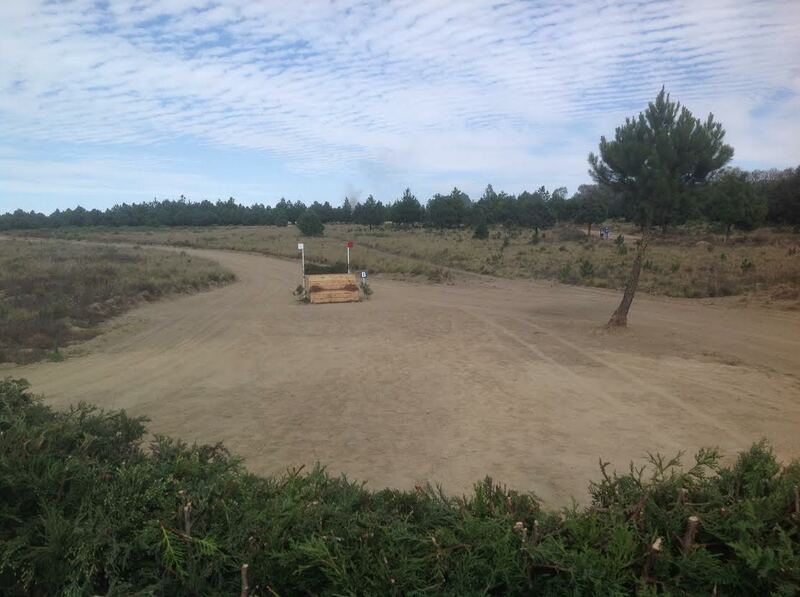 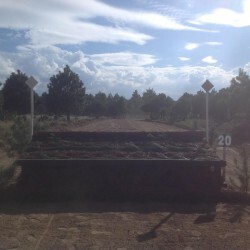 Her initial impression is that John has designed a great course that will really test the horses and riders. 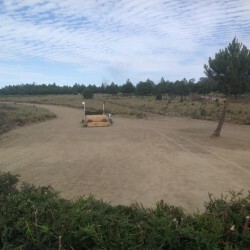 Sara also reported that all of the Venezuelan riders trotted up well and were sent through to today’s dressage competition. 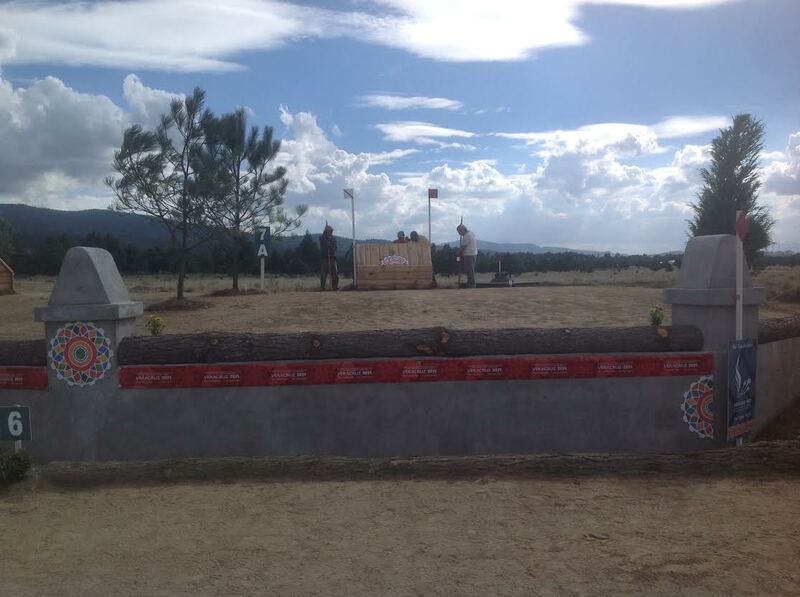 After the first day of competition, it’s a Venezuelan rider on top of the leaderboard. 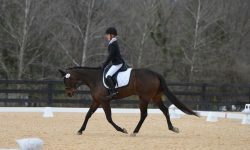 Natasha Barrientos and Clifton Peekachu scored a 44.8 for the overnight lead, one of just three pairs to break into the 40s today. 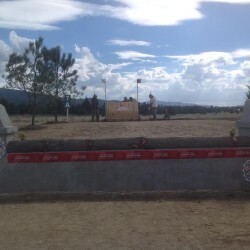 Guatemalan rider Stefanie Brand Leu and Claudius earned a 45.6 nod from the judges for second place, followed by Mexico’s Guillermo De Campo and Quelite who scored a 49.2. 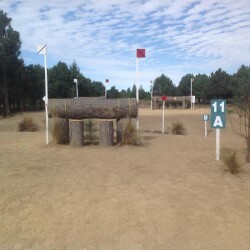 Less than 20 penalties separate the top 10, making for an exciting competition out on the cross country course tomorrow. 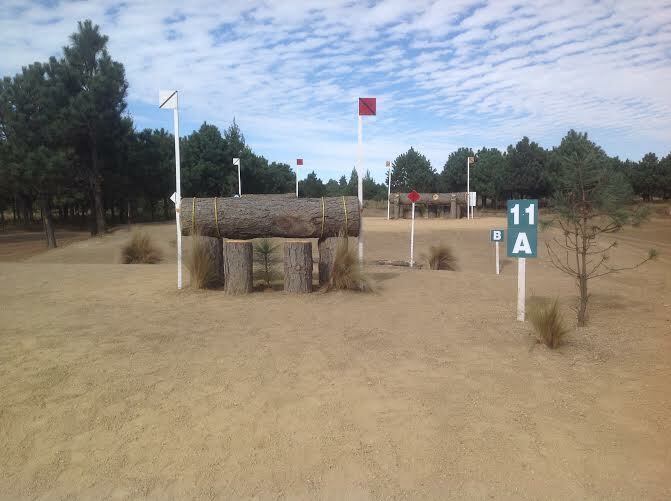 Be sure to check out John Williams’ course, photographed by Sara, to get an idea of what the horses and riders will be tackling tomorrow. 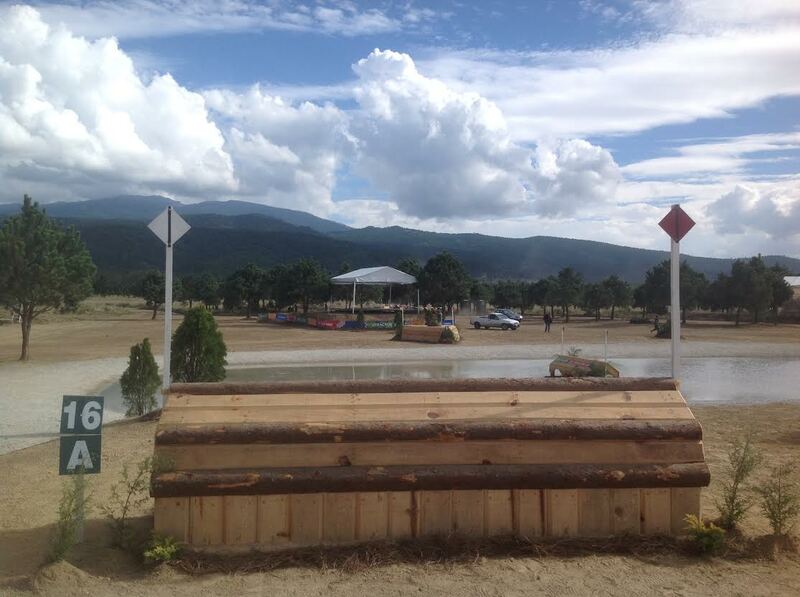 Photo courtesy of Sara Kozumplik-Murphy.